This telephoto shot was taken from Grouse Mountain at Beaver Creek Resort. Two of the highest peaks in the Gore Range; Eagles Nest and Mt. Powell; are seen at upper left. 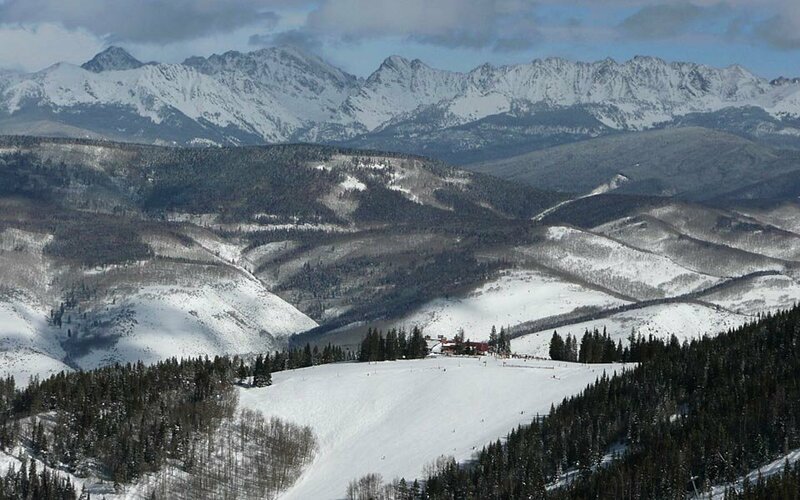 Beaver Creek's Spruce Saddle restaurant and Red Tail ski run are at lower center.